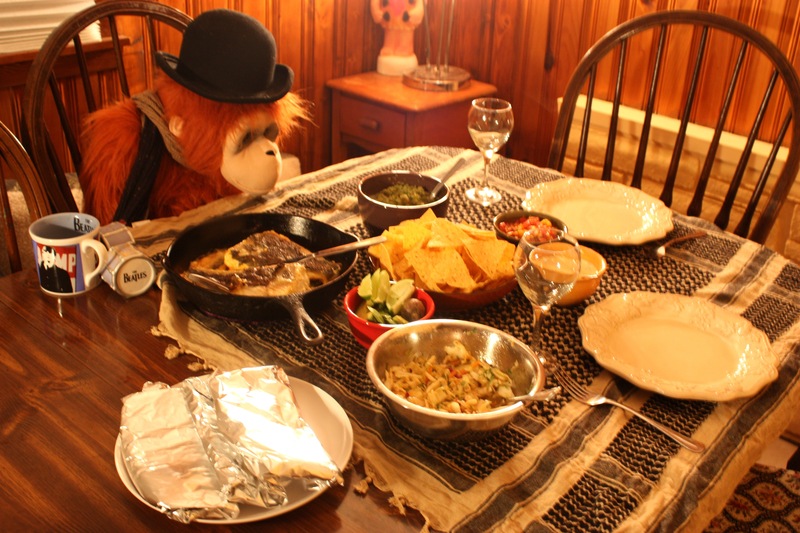 Fish Tacos with a Golden Friend—and the fabulous Salsas! | "Il faut goûter"
Fish Tacos with a Golden Friend—and the fabulous Salsas! Her name’s Lacey. I’m pretty sure I met her in preschool, but those days are fuzzy in my mind. However, it wasn’t until high school that we became best friends. Like, “let’s-spend-the-night-together-the-night-before-the-first-day-of-school”, ride-around-in-our-cars-just-to-listen-to-music-and-sing-along, go-on-beach-vacations-with-her-family best friends. Lacey has many wonderful qualities, but perhaps she’s best described as unique–and in being herself, she gives others the confidence to be themselves. I love her. Anyway, Lacey’s been living in Johnson City for the past six years. We’ve remained friends, inevitably growing apart with distance, but it’s always easy for us to pick up where we left off. At this moment, I am sitting on her couch in JC. I’ve visited her here in East Tennessee several times in the past, and this time’s the last—she’s soon to be a resident of New Mexico! One last Johnson City hoorah and a lazy Saturday together in our pajamas. Before I left Cookeville I picked some red and green tomatoes and a couple of jalapenos from my parents’ garden—knowing we’d put them to good use over the weekend. Boy, did we ever! Lacey and I had a stupendous 10:00 pm dinner consisting of Baked Halibut-filled tacos garnished with Spicy Honey-Lime Coleslaw, Green Tomato Salsa, Mango Pico de Gallo, White Queso Dip, and avocado slices. It was awesome. It was really awesome. The flavors were bright, and the meal was fresh and light. 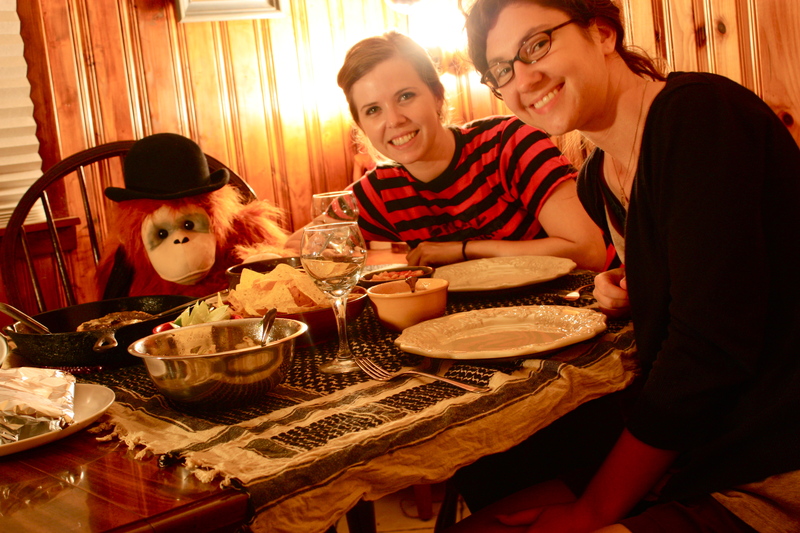 I’m so excited I had to start blogging right after we cleared the table! And looking at the pictures, I want to eat it all again! Put it all in a food processor. Pulse until smooth (or a bit chunky if you prefer). Just stir everything together, adjusting spices and salt to taste. Mix all ingredients for the dressing together and stir into the coleslaw with cilantro to coat. Mix everything together for the marinade. Sprinkle halibut filets with salt. Pour marinade over the filets and let it sit at room temperature for a minimum of 15 minutes. Sear the fish in a bit of olive oil (skin side down first!) on both sides in a cast iron skillet, spooning some of the excess marinade over the fish to coat. 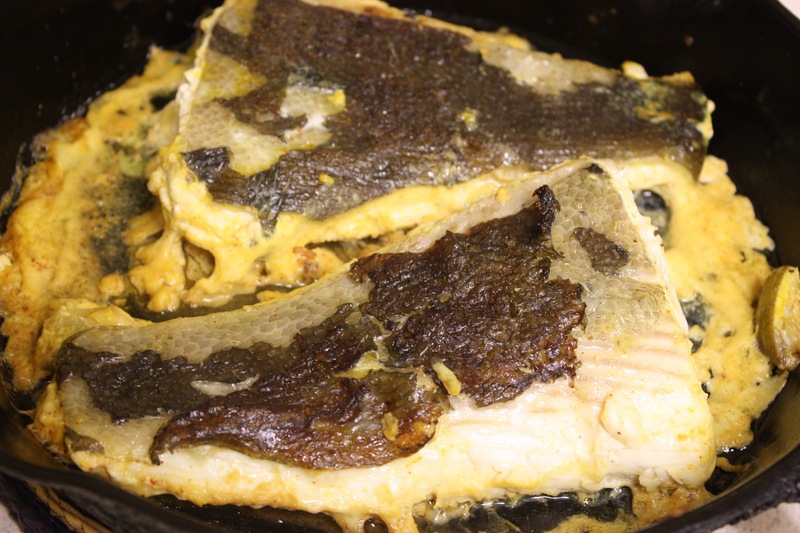 Transfer the skillet to a 375 degree oven and bake the halibut uncovered for 10-15 minutes (or until fully cooked and flaky). Cube the cheese and add milk. Microwave until nearly melted. Stir in the onion and coriander and microwave until melted and smooth. Add a chip and it's heaven! 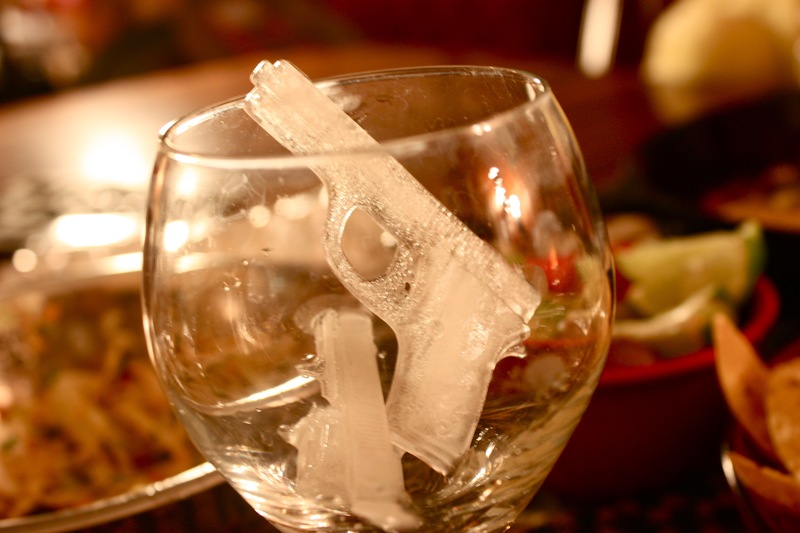 Lacey has gun-shaped ice cubes. Of course she does. 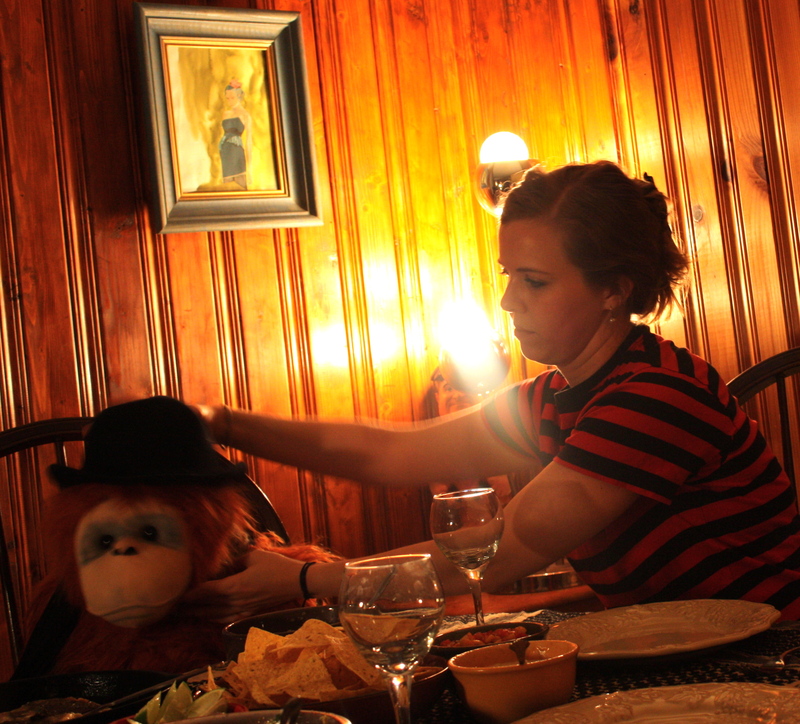 Friendly Dinner...much chip-dipping is about to occur. P.S. All the components of this meal were great together, but each one could be complimentary to other dishes as well. 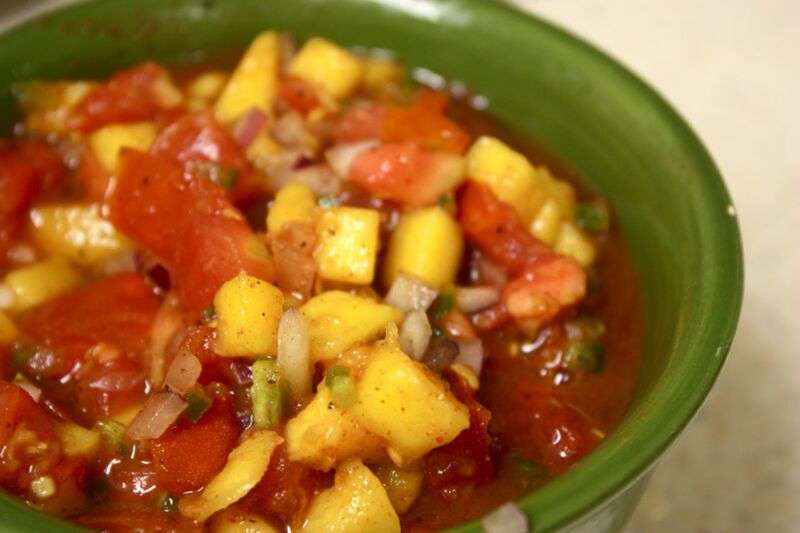 And the salsa and pico de gallo are wonderful summer appetizers with chips! P.P.S. Lacey, we’re an awesome cooking team! 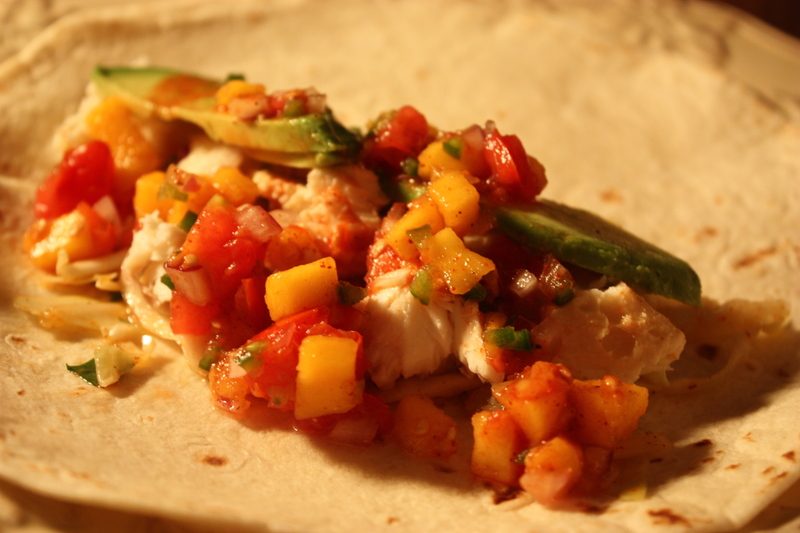 This entry was posted in Uncategorized and tagged baked halibut, fish taco, food, green tomato, green tomato salsa, halibut taco, honey lime coleslaw, mango pico de gallo, pico de gallo, recipe, spicy coleslaw, white cheese dip, white queso by needtotaste. Bookmark the permalink. I love it. Thank you for always being the best friend I’ve needed. You are an inspiration and I cannot wait for the visits to New Mexico; I am already planning them in my head. It was the perfect saturday to cap my relaxation and prevent my sorrows, and evidence that distance will never break us apart. 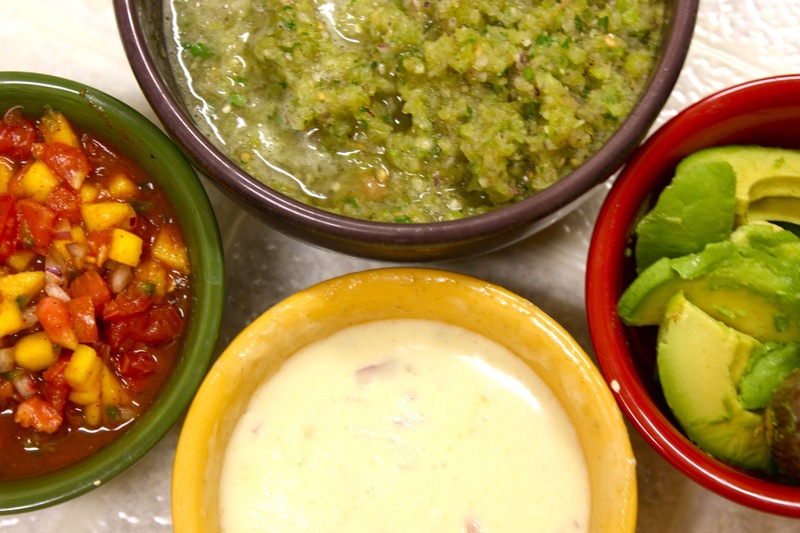 Now to the food, People: You have to eat these salsas; they are life changing. Definitely do again, and again. i will probably share these recipes with my Nutrition clients in New Mexico because they are that tasty and healthy too. Wholesome Food and a wholesome girl this Saturday pureed my World! Good friends, good meals sad good byes for a while. Sounds like you girls have had a great last weekend for a bit. Lacey’s headed to the beginning of a great future and new experiences. Allison, sounds like another great meal. We must try the cheese dip. 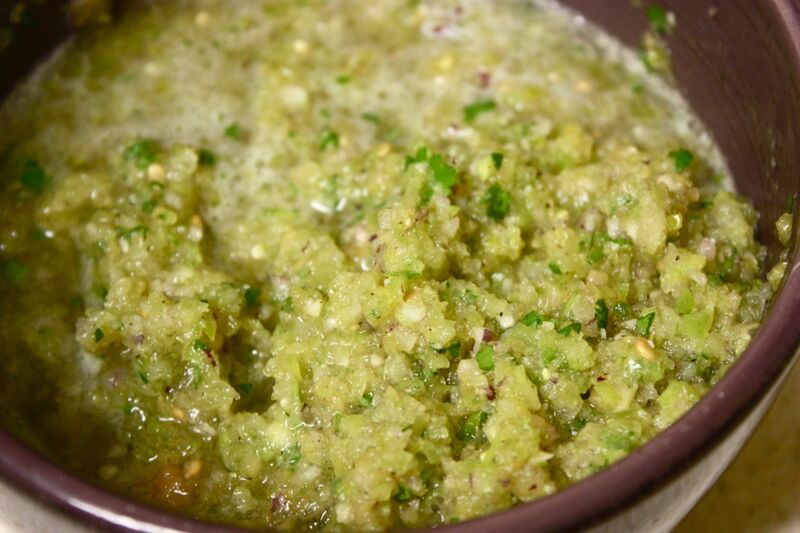 Green tomato salsa looks fabulous. Although, I all of a sudden am bored by my ice trays. Trying some of that coleslaw has just become a powerful “Must” for me. Well done, miss!